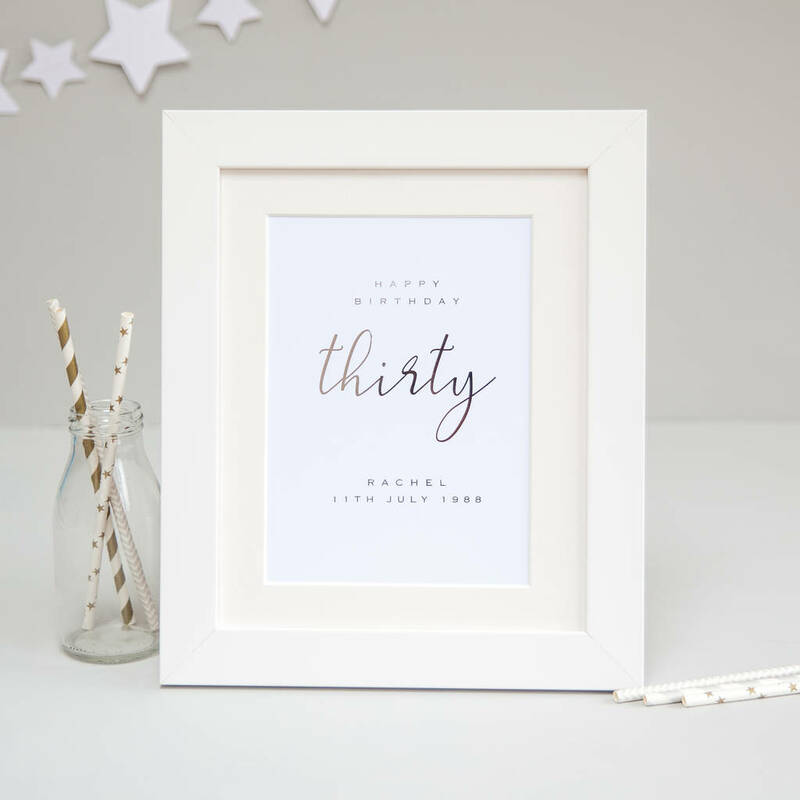 For an extra special 30th birthday gift, give our fabulous '30th Birthday Personalised Foil Print' a brilliant and stylish choice for a milestone birthday. These lovely prints are a unique and thoughtful gift. A super way to send your best wishes to someone special celebrating their 30th birthday. A perfect choice for such a milestone birthday. Each beautiful print has 'thirty' written in a modern handwritting style script font, above this is printed 'happy birthday' and then at the bottom is the name of the person the print is for along with birth date or short personal message, all printed in fashionable metallic foil.